Constructed, low profile grey ballcap with hot pink mesh backing. Adjustable plastic backstrap. 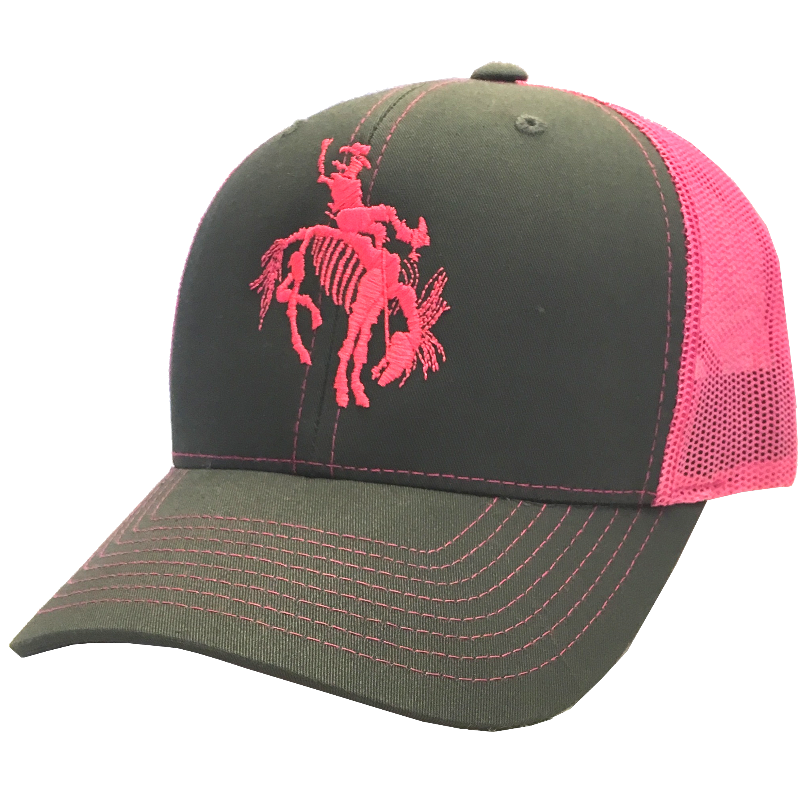 Buckin bronc embroidered on the front and Gary Allan embroidered on the back.